Over the (almost) 7 years that I have been blogging about paint colors, I have never shared a color palette of my “go to” colors with you guys. I receive emails and questions on my Facebook page all of the time asking what my “go-to” black is, my favorite gray, or my “go-to” white trim color. I thought that I would pull together all the colors that I’m recommending (and using) right now into one blog post. If you have been following along with me over the years, you know that I only recommend and work with transitional colors that have that near perfect balance of warm and cool tones. If you’re new to my blog and my paint color palettes, transitional colors are the safest colors to work with because the have a that mix of warm/cool base that makes them less finicky to work with and they will compliment other colors in the space. These transitional colors are far more dependable than other colors and they tend to consistently work well in a variety of lightening situations. What is the prettiest gray that’s the most versatile? This is probably the most common question I receive from readers and clients, especially those looking for a whole home color. It’s understandable that this is such a popular question with thousands of shades of grays out there. 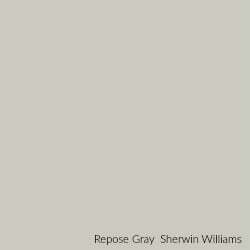 My go-to gray and the color I recommend the most is Repose Gray from Sherwin Williams. I call Repose Gray the perfect paint color because it’s a light warm gray with a near perfect balance of warm and cool undertones. No crazy hues jump out and the color consistently looks good in full natural light and artificial light. Repose is by far the number one color that I recommend to readers and clients and everyone has always come back to me to tell me how much they love this amazing color. If you want to learn more about Repose Gray and why it works so well, I did a Color Spotlight on Repose highlighting more details about this color here. 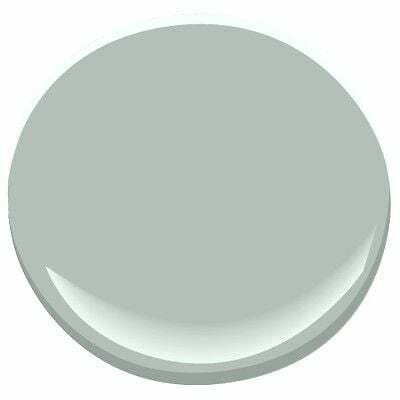 Moonshine from Benjamin Moore is another fantastic gray that I recommend. It’s a little lighter than Repose Gray and just a little cooler (but it still has good warmth) it’s also just as versatile Repose. 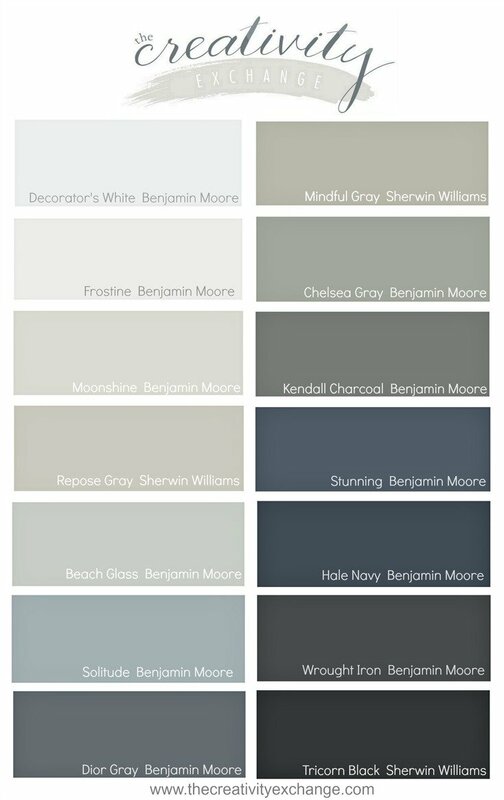 Mindful Gray from Sherwin Williams is my go-to main cabinetry color that I use and recommend the most. Mindful is one shade darker than Repose and on the same color card. You can see how beautiful it is in my craft room/office (it’s the cabinetry color and trim color). Repose is on the wall. 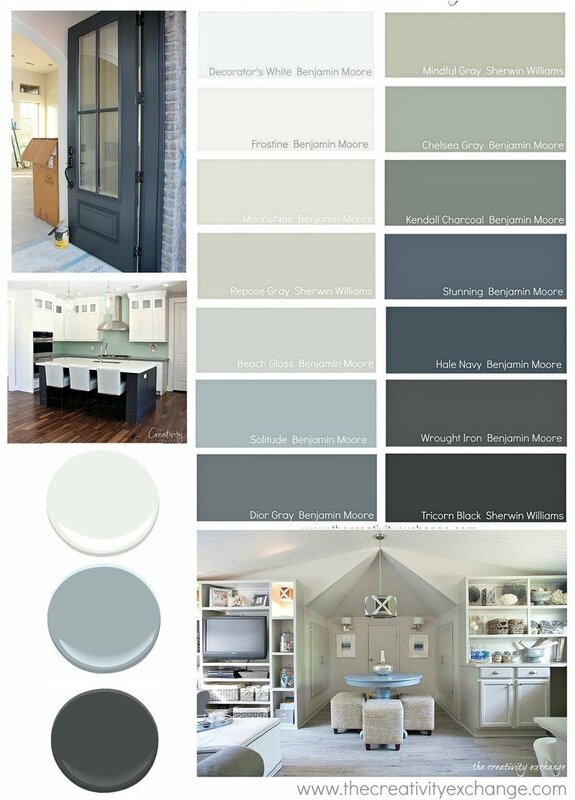 Another fantastic gray for cabinetry that I use and recommend a lot is Chelsea Gray from Benjamin Moore. It’s a little darker than Mindful Gray but it’s still balanced with those warm/cool undertones that I always need to see. 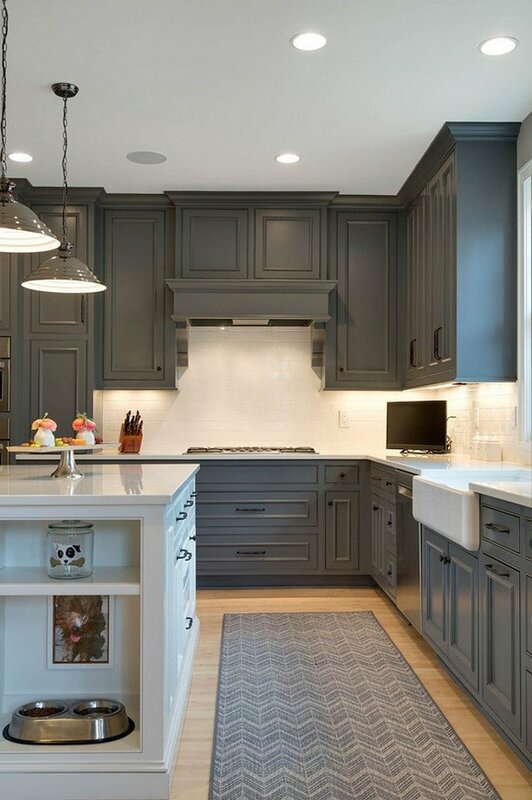 For the darkest of grays, primarily used for cabinetry, I have recommend Kendall Charcoal from Benjamin Moore for many years now and it still one of my favorite colors. It’s a very dark gray with just the right amount of warmth. 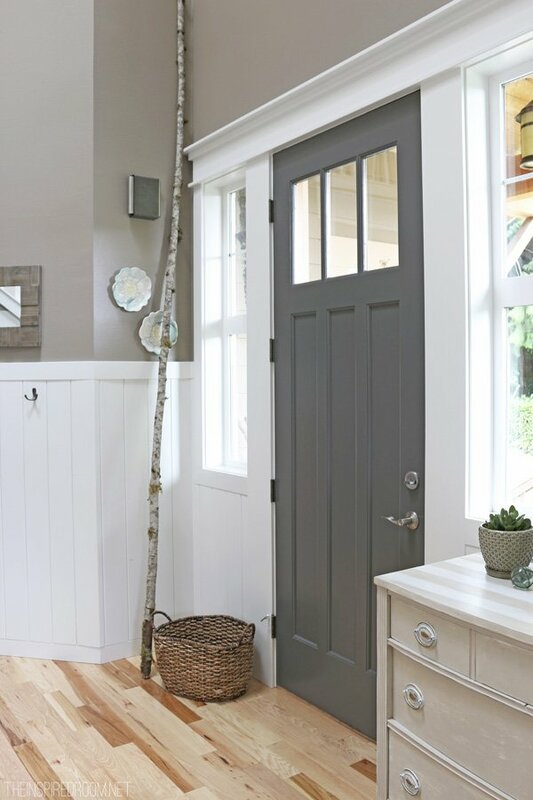 You can really see what Kendall Charcoal does best on this interior door from Melissa at The Inspired Room. Here’s Kendall Charcoal on a kitchen island. Halo is on the walls. There are so many fabulous blue/greens paint colors out right now that I love and have experimented with. 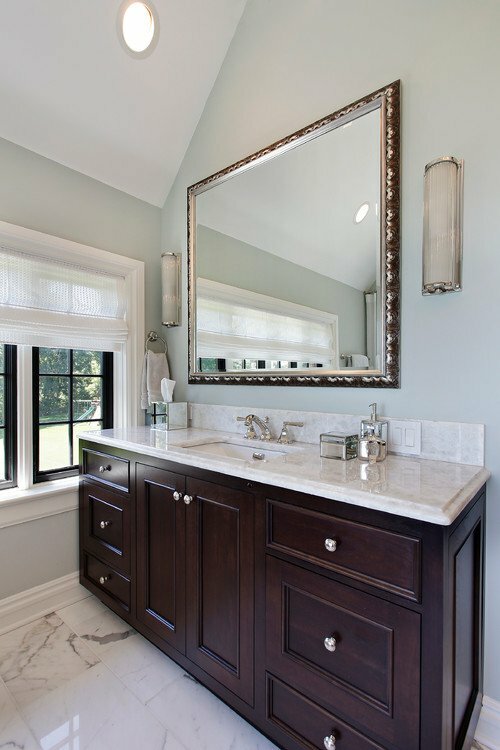 I recommend colors like Sea Salt from Sherwin Williams and Palladian Blue from Benjamin Moore for bathrooms a lot. However, when someone is asking for a beautiful blue/green, I almost always put Beach Glass from Benjamin Moore at the very top of the list and tell them to sample this color first. 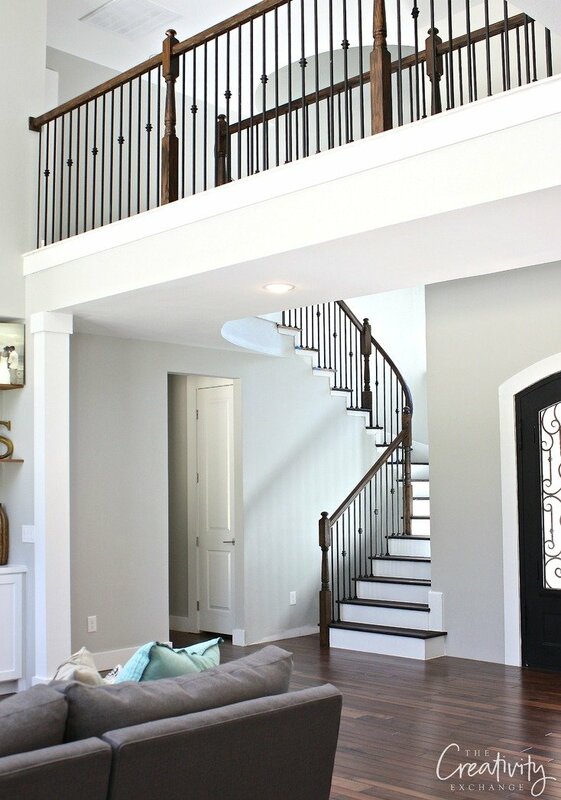 If you’re looking for a cooler blue/gray, my favorite is called Solitude from Benjamin Moore. I only recommend this color in spaces with no natural light; bathroom, laundry room and closet because it is so cool, the slight warmth in the artificial light pops out. When it comes to navy, there are two colors that I use and recommend pretty much exclusively because they are just so consistently amazing. Hale Navy from Benjamin Moore is just hands down one of the best navy’s out there. If you’re looking from a true dark navy, you don’t need to look much further than Hale Navy. 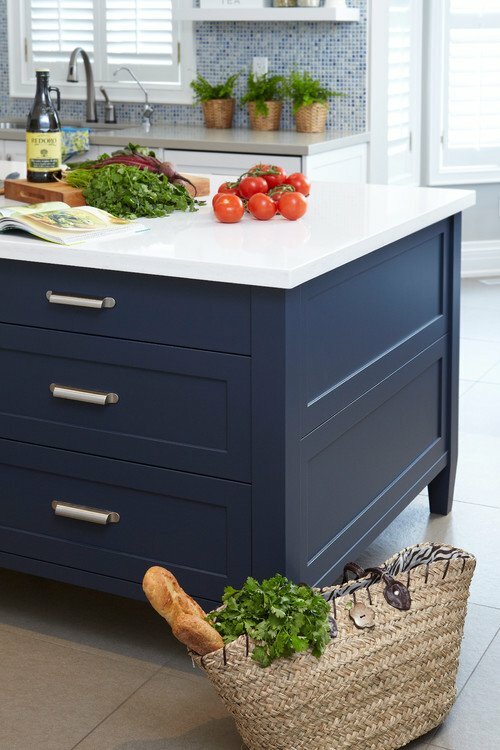 Hale Navy is the perfect navy cabinetry color, if you’re looking for a great dark blue. 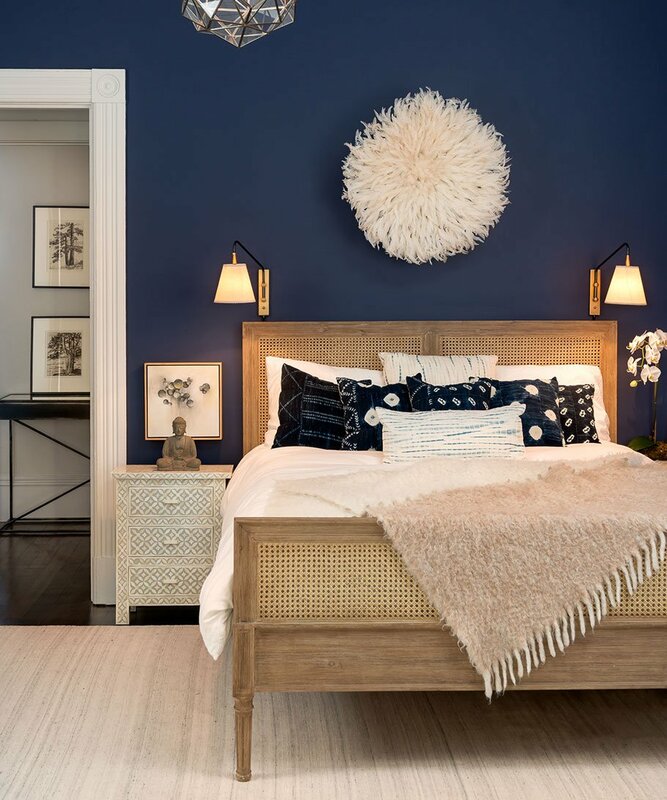 Hale Navy is also a fantastic wall color, especially used as an accent wall. The other dark blue that I recommend a lot is called Stunning from Benjamin Moore. Stunning is the truest indigo color that I have been able to find. You can see that the color is slightly warmer than Hale Navy and has a tad more purple in the base, which makes it a true indigo. Even though I didn’t include it in my “go to” palette, I do recommend Gibralter from Sherwin Williams as well, when people are looking for a more dark blue/gray mix. I primarily recommend Gibralter in spaces with no natural light because in these spaces, the color becomes a beautiful dark gray/blue in artificial light. (I never recommend this color is spaces with a lot of natural light because it goes too sterile and cool). Just like the dark blues, there are really only two or three blacks that I regularly use. My favorite all around black is Tricorn Black from Sherwin Williams. Tricorn Black is not really a traditional harsh dark black but rather a dark black with a gray base. Again, I only recommend colors that have that mix of warm and cool tones because they will always work with any other colors and undertones going on in a space. I’m not a fan of true dark black because I think it’s too harsh in the home, which is why I love Tricorn so much. I believe ever color in interior spaces should have that balance. I also recommend Wrought Iron from Benjamin Moore all of the time for both exterior and interior because to me, it’s the perfect alternative to a traditional black and less harsh. It’s really the perfect mix of very dark black/gray with a little warmth in the base to make it one of the most versatile colors out there. 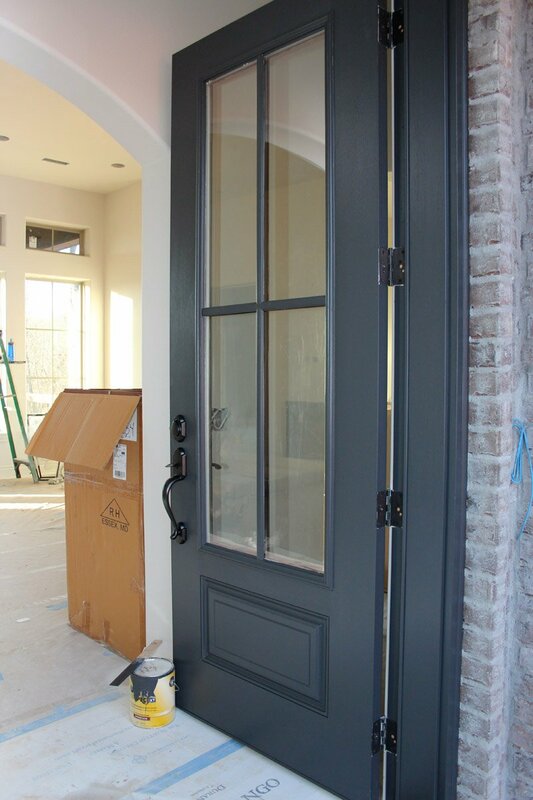 This door is such a fantastic example of why I think Wrought Iron is one of the best paint colors out there because while it’s a very dark color, it has depth and the black is not as harsh. Here is another example below of Wrought Iron on the island of a home I recently recommended paint colors and again, imagine if that island was a harsh and cool black. 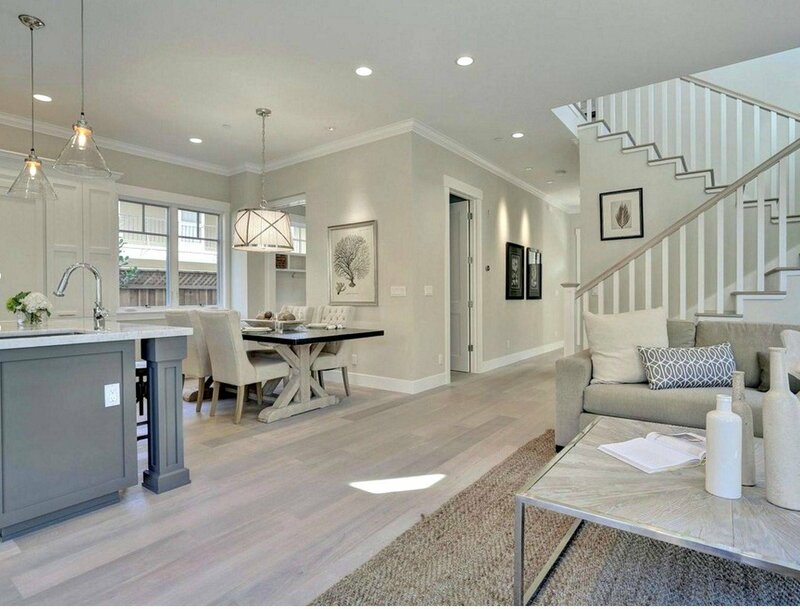 Wrought Iron brings just enough warmth and gray in the base to compliment both warm and cool tones in the space. I saved the trickiest colors for last. In my opinion, white is the trickiest color out there because undertone is everything. If you do not know how to choose colors based on undertone, then you run the risk of choosing a white with a pink or peach base that could turn into a disaster. I have a great trick for instantly spotting undertones in whites here, if you want to see how I choose complimentary whites to recommend. There are really only 3-4 whites that I pretty much exclusively recommend. 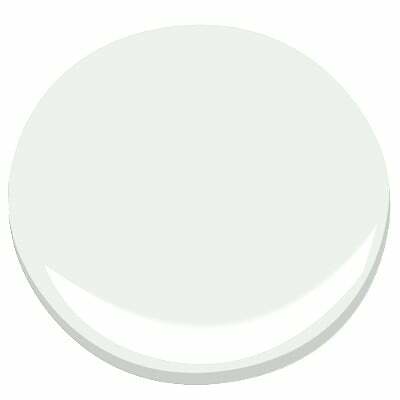 My number one white that I use and recommend more than any other white is Decorator’s White by Benjamin Moore because it has no strong undertone. 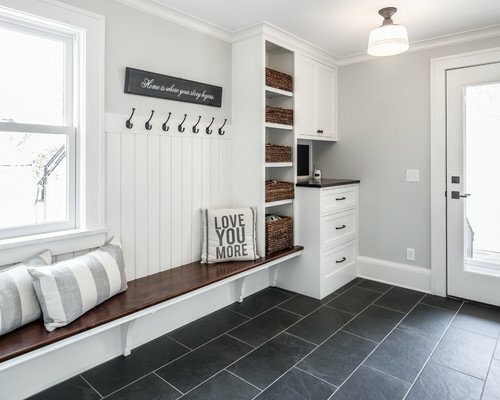 To me, it’s the truest white out there and I think it’s the best trim and cabinetry color because it will automatically blend in with the colors and tones in the surrounding space. 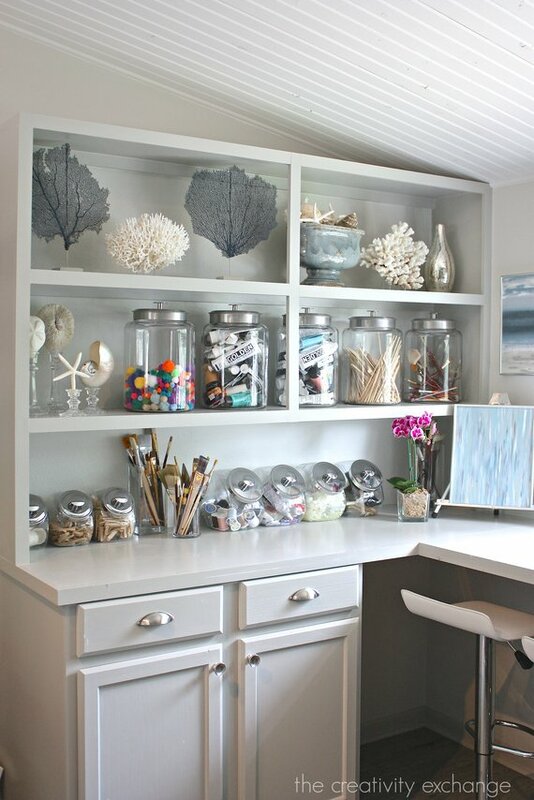 In this home below, I recommended Decorator’s White for all of the cabinetry and trim work throughout the whole home. As you can see, it’s just a true white but it’s not a bright harsh white. 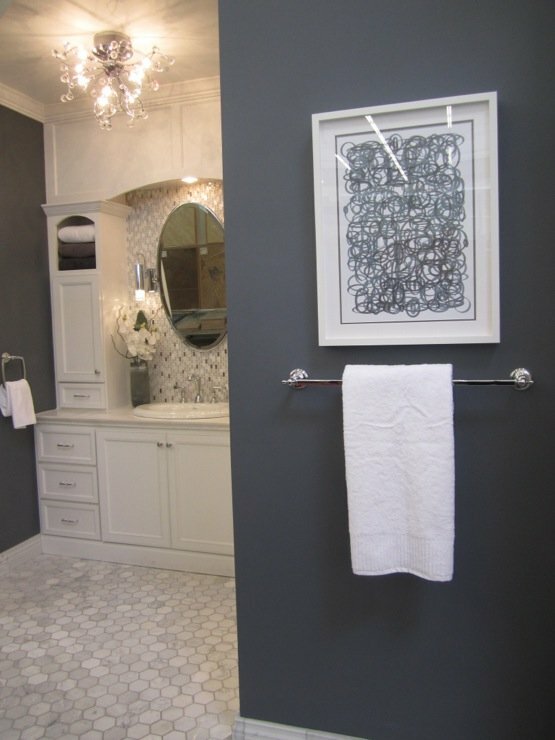 Another white that I like to use and recommend is called Frostine from Benjamin Moore. I usually only recommend Frostine in spaces that have very little natural light (bathrooms, laundry rooms, closets, etc.). Frostine has an ever so slight blue/green undertone that will keep a white from looking cream in artificial light. 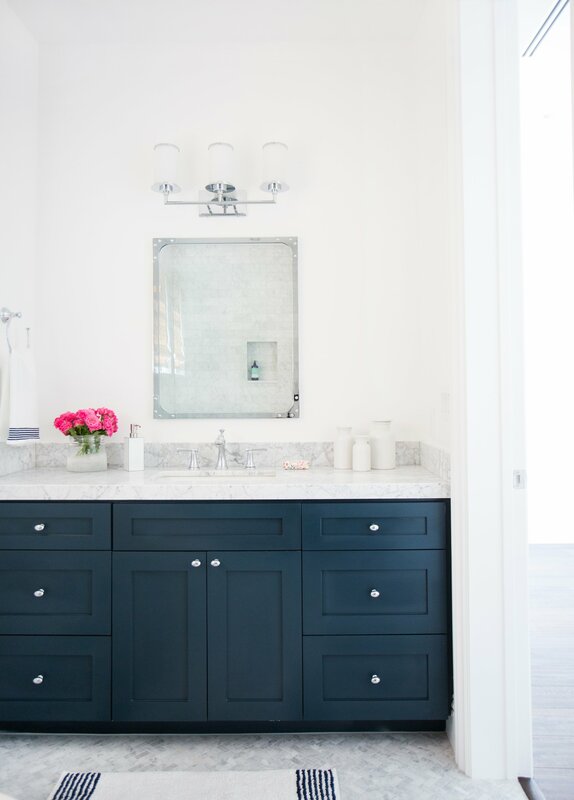 If you have a very dark bathroom with no natural light, Frostine is an ideal vanity/cabinetry color and will look crisp white under that type lighting. This space below is such a fantastic example of why Frostine is such a great color for poor lighting situations. 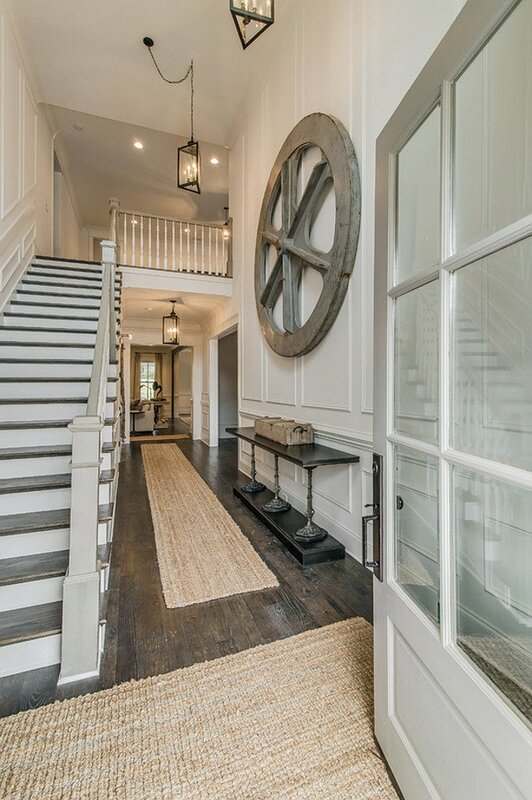 As you can see, this foyer does not have a lot of natural light. Frostine was used on the wainscoting and the trim and most whites would look cream under these lighting conditions but Frostine looks crisp white. 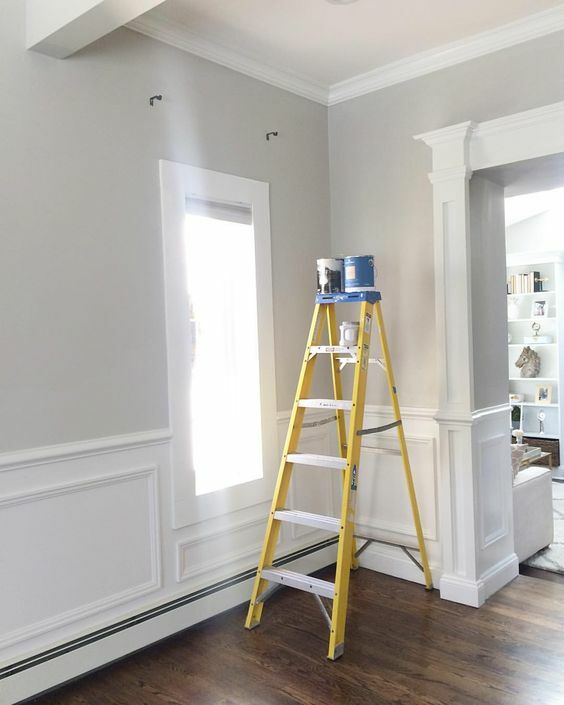 Wainscoting and Trim Frostine Benjamin Moore via Chango & Co.
Lastly, even though I did not include it in my “go-to” palette today, I love and use Sherwin Williams Pure White in spaces where we don’t want white but want just an ever so slight hint of a warm gray. So there you go friends! These are my favorite “go to” colors. As a reminder, if you fall in love with one of these colors, please be sure and sample the color by painting a poster board with the color first and taping to your wall. While these are great colors and pretty versatile, lighting conditions really impact the appearance of colors. If you want more help choosing colors, I have a post with my tricks for choosing just the right color for a space by eliminating shades and undertones that you know you don’t want here. Also, I regularly share tons of fresh color inspiration daily on Facebook here if you’re interested in daily color recommendations and ideas. I am moving into a house with pine trim (unpainted), and biscuit/bisque colored appliances. I really only want a white paint for the drywall, but unsure of how the recommended whites will look with the bisque appliances. Do you have any recommendations for this? Maybe a warmer white (which I know isn’t your go-to) would be better, or will Decorator’s White be fine? Thanks for any advice you can offer! Still looking for the perfect warm blue (medium deep tone) for northfacing rooms. Usually looks too green. Great colors! I am using Decorators White for the walls and Repose Gray for all trim and doors in the main living areas. I am switching to Repose Gray and Chelsea Gray for the bedrooms. Should I use Repose Gray for the trim or Decorators White? Great post! I am the worst at selecting paint colors and put it off forever. Finally painting a powder bath after living with the color that was on the walls when we moved in 8 years ago. Going with Repose Gray and can’t wait to get rid of the yellowish/tan color that I have disliked all these years! Painted my daughters room Repose Gray last year and it looks so calm and peaceful. Thanks for all the great paint tips! Hi Cyndy,love all your colours,I have just had my home cement rendered and would like a soft gray with white window trim,could you suggest these two for me.My home is scandinavion /beach,with rope as cornerses and lots of timber in side and out. Pinned so I have this handy the next time I decided to paint. Love your color choices. Sharing with my followers, too. I will be painting my kitchen cabinets soon and the other two walls will be planked. I want “white” but not sure of the tone. Also, should or can I paint the planks the same color. I like a blank canvas on the walls, then adding pops of color when decorating. I’d appreciate any advise. Thank you. After a small kitchen fire that caused smoke damage to our entire house we had to have every room cleaned and repainted. I chose the Liveable Lux palette from Sherwin Williams HGTV line. It was fun to pick relaxing color combinations for all the rooms to create a nice flow. I love my house even more now. Hi Cyndy, You often mention about choosing colors from a color card where all colors on the card will go together. I find these cards so easy to choose colors. Have you noticed that Sherwin Williams no longer have the color cards with all the color shades? They only have one color on each card now. Sherwin Williams has always been my go to paint but I’m going to have to change to the more expensive BM paints because of SW card change. Any one else upset about SW change? I am having difficulty finding a color for the trim of my yellow brick home. Want it to look outstanding. Hate the yellow brick but unable to paint that. Any help for my home? Hi Cyndi. I LOVE your website. We just bought our new home and always have trouble selecting colors. We have two bedrooms with ceilings that transition from flat to very angled. One is our guest room and the second will be a nursery. We fell in love with Beach Glass and thought to paint the ceilings, doors, and baseboard another color and figured a nice white. We read your post on whites and were thinking of decorator or pure white. Any suggestions on a white for the ceiling and accents that coordinates with Beach Glass? Any suggestion would be very appreciated – thank you!! One more comment, these rooms have ALOT of natural light. Both have a skylight as well and very angled, dropped ceilings. Hard to explain as you can see but not a traditional flat ceiling. 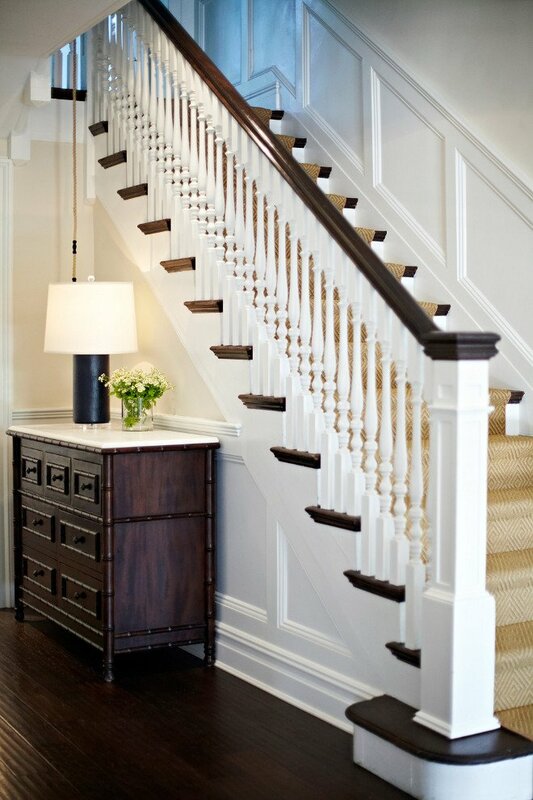 Do you know of a comparable Sherwin-Williams paint color for the Benjamin Moore Decorator’s White? Hi cyndi, I just left a comment on one of your other posts and then realized it was several years old! Im not sure if you’d see it or not so I thought I’d try here as well. I was wondering if you have any palate suggestions for homes with honey oak trim, cabinets and doors? I have been having a terrible time finding something that I like! I am interested in using Frostline in my TV room. It does not have a lot of natural light, I have some canned lighting and adding two light fixtures to the ceiling fans for additional lighting in this room. I’m interested in painting the walls in Frostline BM, please share your thoughts with me on this? Selecting the right color has been a stressful process and any help is welcomed. 🙂 Thanks in advance for your help. Hello, this is a wonderful post with so many great ideas. Thank you for sharing. I have a question, could you recommend any light cool blue colors. 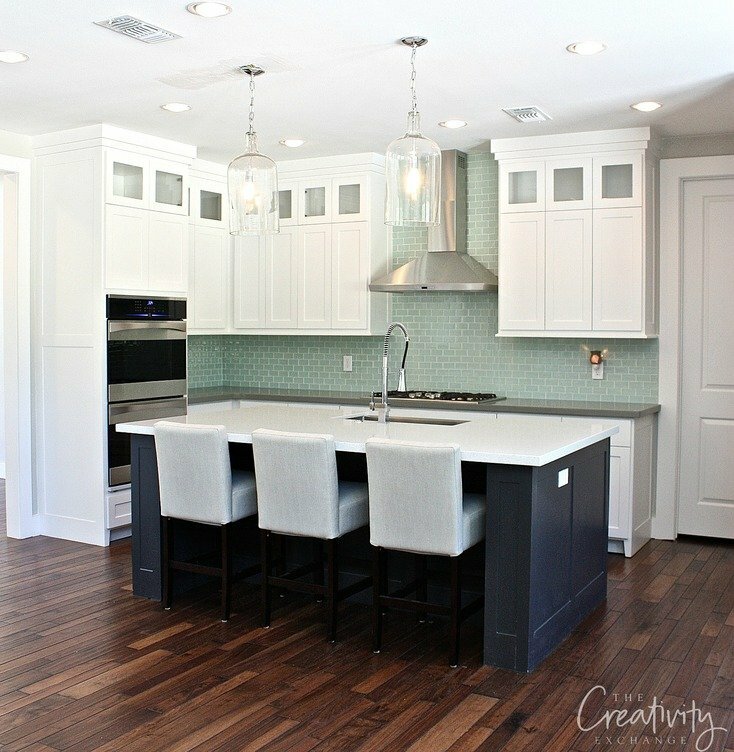 I need to paint a beach house, and want a blue but a very light grayish blue in the kitchen and family room with crisp white trims. I’m trying to stay away from anything that has a green hue to it. Then I want to put a grayish beige into the bedrooms. But a color that will flow well with the blue. Any suggestions, I’d really appreciate your help. Have a blessed day and thanks in advance. Painting a basement family room aka kids room. only light is from patio doors that faces west. morning light. Plenty of light in ceiling so not dark. what do you suggest for color. Wonderful blog! Do you have a recommendation for a gray blue like Solitude for a room with a lot of natural light? Thank you so much in advance! What is the exterior color of the house. Loved reading your choices on color (and why) very much! I’m a small business owner of my painting company and I often run into clients who don’t really know what they want. I always get a chuckle out of them saying, “I want grey” or “.. something tan”. Haha Once I show them my color books (Sherwin Williams being one of them) and start explaining there’s about 100 different greys and whites, I notice that more than half of the time they tend to give me that blank stare as if I’m speaking another language but they’re trying to understand. I will have to share your blog with them! I’m also a bit tickled about your choices of BM Chelsea Grey and SW Mindful Grey. I, too, have suggested (and used) them both for cabinets and wall color when remodeling a kitchen for a client! Haha I will definitely have to try out some of the other colors you’ve suggeste! I want to paint my front door wrought iron grey. What colors do you recommend for exterior siding and trim to go with it? I also have a small section on the bottom half of the front of my house that’s brick. I’m considering painting it as well – Probably the same color as the siding. What do you think? My oldest son (who is artsy) is 22 and we are really having a hard time committing to colors for his room that so desperately needs it (old boat border and cloud wallpaper really need to come down as well as the cheap chair rail thing we had going on). He wants and likes Accessible Beige (SW7036) because he used to work for SW paint and knew/remembered that popular one. We also chose 2 different greys Ominous Cloud (5044 Clark & Kensington) and Mysterious Gray (N-C19 Clark & Kensington). I saw something really cool with a painted blue ceiling as shown on the 2016 DIY Coastal Cabin Winner (page: http://www.diynetwork.com/blog-cabin/2016/guest-bedroom-pictures-from-diy-network-blog-cabin-2016-pictures ) where the ceiling color goes down on to the wall a bit. 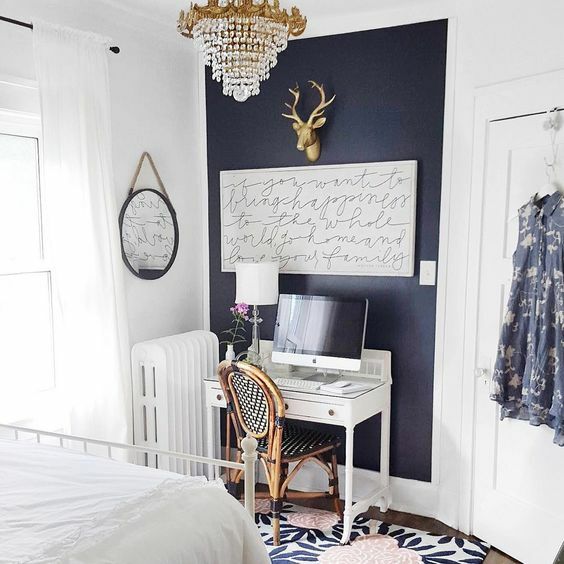 Originally he liked that blue color shown on that above link page, but now chose something so dark (Frank Blue SW6967) instead from the SW color palette he brought home, that I thought maybe an accent wall instead for that dark color. I want to make sure he has enough light and the room doesn’t end up too dark, and cannot see the ceiling being this new dark blue now–even though we think the concept of this ceiling thing is still cool. *Maybe narrowing down to just one gray, choosing the boring accessible beige on the ceiling but bringing that down to touch each of the 4 walls might tie in some light with 3 walls gray and one wall this dark color? But what about a trim color? maybe that other gray? Obviously, we are so confused and have been working on this with so many samples and many months later…. Help!!! I have been painting my entire apartment for a year now but I am terrible at picking colors. I have original yellow oak trim and doors throughout my house and don’t want to paint it. My 1st order of business is the bathroom. It is small and has very little natural light. The tile around the bath is called metro charcoal but it looks like a brown instead of a gray on the wall. The floor tile is shades of gray to Greige. 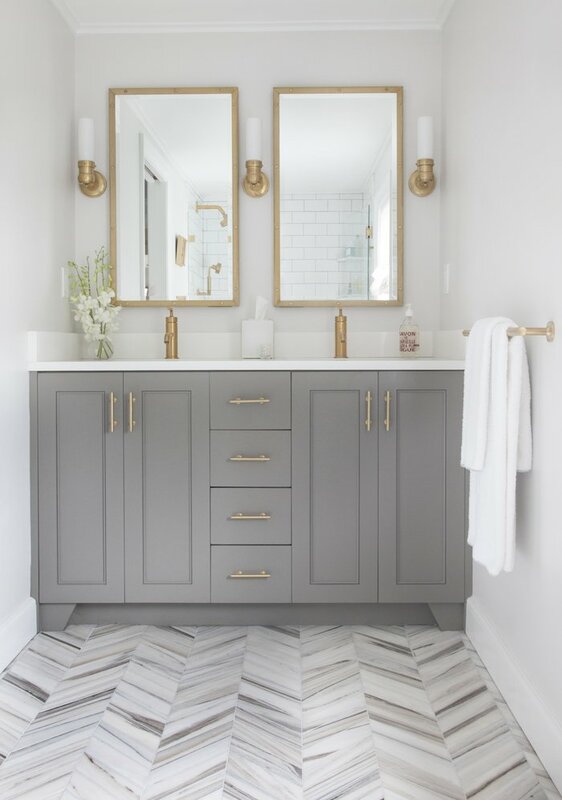 I love gray but am having trouble finding something that will complement both tiles and look good against the oak. What do you think? Thanks…very informative!! I’ve chosen Repose Gray as my interior color of a home that I’m rehabbing. Do you think the BM Decorator’s White is best for all trim and ceilings? I was actually considering BM Cloud White. What do you think? Moonshine and wrought iron black Doors!! I do have a question regarding bathroom though. It’s very small so I want to paint it all white. Walls too! What white would be best for that? Should I paint everything in decorates white? 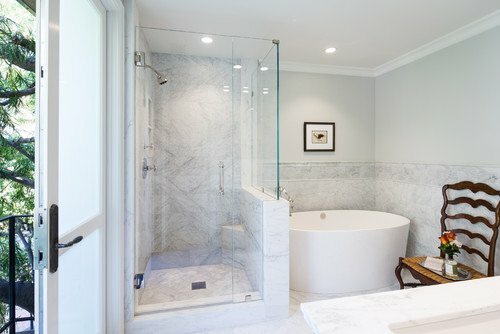 I will be putting in glass doors on the tub of keep the open feel and a mini chandelier to give it some character and charm. White is so hard to choose for walls. Especially a small room with no windows.. please advise us as i just love your ideas! I have an odd situation…our home was destroyed in a house fire in June. However, we have a dome/garage structure which was attached but only received smoke damage due to a fire rated door. We will be living in this area until our home is rebuilt. I am painting the walls Mindful Gray. Could you please recommend a door color? These will be exterior doors and receiving a lot of traffic from 5 teenage boys and their friends. I’m trying paint my bathroom. .looking for a gray. My walls are light gray but off white look with my trim the is white. It’s frustrating. My cabinets are dark brown, floor and shower is gray with brown tones. I just want the walls look gray. I’ve use SW paint. Can you help me? Great post! Can you suggest a palette for a poorly lit home? I love the blue/green greys but I’m not sure I want it throughout. We have a center hall plan two story. I’ve been looking at agreeable grey sw and was wondering if we should try it half strength. I’ve found that almost any warmer grey (revere pewter or even classic grey) look dingy in our light. I enjoyed this and will be saving!! I am thinking about using the repose grey in my new home to help brighten and modernize the walls a bit more. Do you recommend using the same color on the ceilings as well or should I stick to a lighter color ? Beautiful rooms!! I bought Kendall Charcoal and it doesn’t seem to look anything like the color I have seen online from many sites. In my home it looks like more of a mocha color almost. Do you have much personal experience with the color? Thank you! Did you get it from Benjamin Moore or did you have it color matched? Some colors dramatically change when color matched. I would say it’s a very rich mocha/gray color. It will lean warmer and more mocha in spaces with artificial light and cooler in spaces with a lot of natural light. Thank you! It was a color match, since we don’t have a Benjamin Moore store nearby. Maybe that is why! We are having our natural wood kitchen cabinets painted, and are thinking of a light blue. The kitchen tiles between the cabinets are all dark blue, Fired Earth tiles. Can you suggest Benjamin Mooreblue that would go with navy? I am curious if you know the color of the tan/gray railings in one of your pictures in one of the bottom pictures in your post. We are getting ready to paint our kitchen cabinets and our railings. They are on different sides of the house but both can be seen from our family room. Should I do similar colors? I really like the Chelsea Gray cabinets in your post. Could I do that on my railings as well? I would do white spindles. You mentioned only recommending the use of BM Solitude in a room with no natural light, such as a bathroom. I am planning to use it in just such a situation. However, I would like to use a blue gray in two other rooms. One is a sunroom, which will get lots of natural light from all directions. Also, a bedroom where there is a large set of windows, but the light is from the North, so indirect. 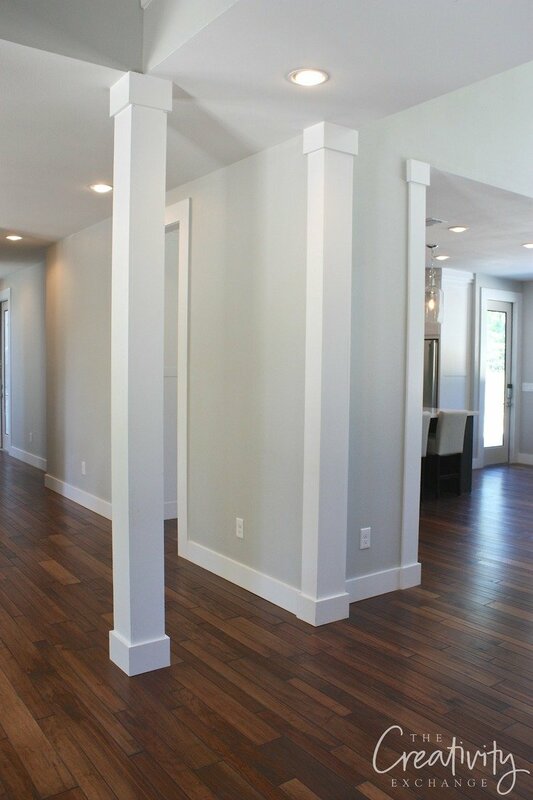 I am trying to limit the paint selection for this particular shade (blue gray), since we are limited to three colors by our contractor, without being charged a substantial charge for each over the limit. Any recommendations as to a blue gray that might be appropriate for multiple lighting situations. I wish to lean more towards the blue than gray spectrum in these situations. Hi! I’m painting my dining room and am having such a difficult time with the color. I’m looking for a true taupe color that is the perfect blend of grey and brown. Your work is amazing and hoping you can help me out! Thanks in advance!!! Hi I am painting my dinning room and living room, both combined making one big rectangle room, with little separation in the middle. I like to go with Gray color in dining room, however having difficulty deciding which gray color should I go with. Should I paint two different color for dinning and living room? Or go with only one color? Just curious to know the specifics of the Ben. Moore Wrought Iron paint you used on the exterior door – is it eggshell, matte, etc.? 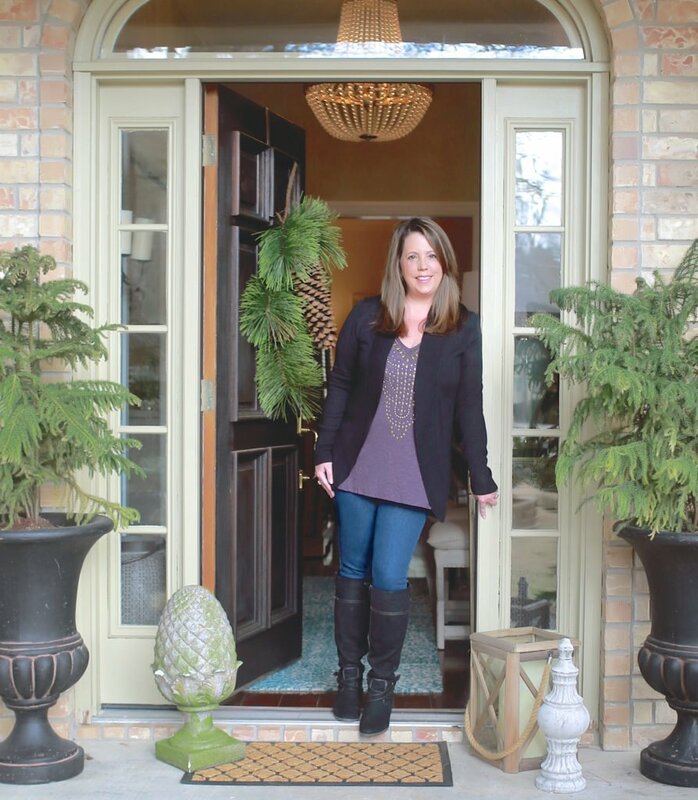 I plan on painting my front door and dining room french doors with wrought iron, so I just want to make sure they will look matte and soft. 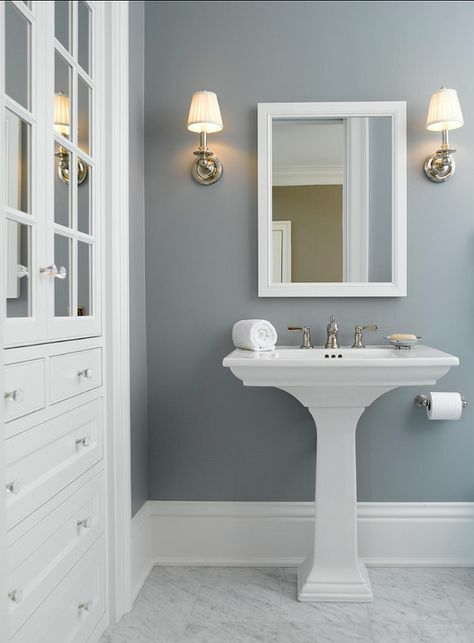 Would you use sw repose grey on cabinetes for a very light grey look, or do you prefer mindful grey for cabinets? Also, what are your thoughts on bm Simply white? Hi! I love the door color in the picture for the Pure White. 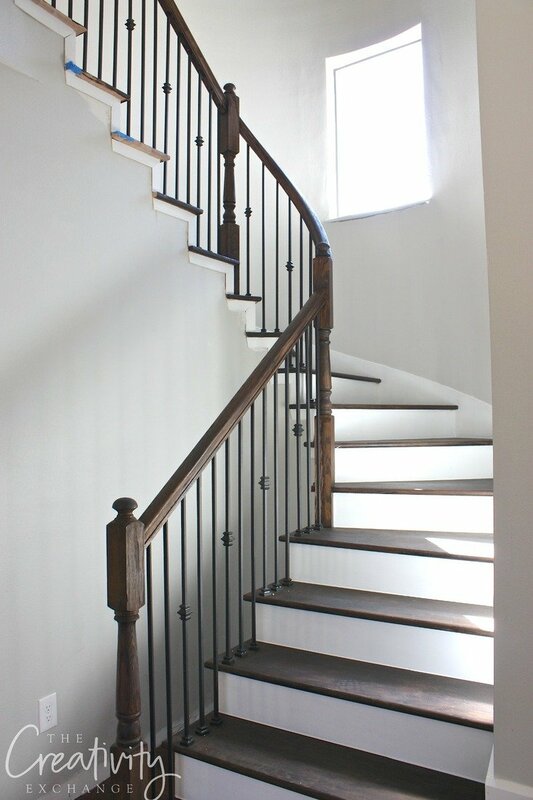 It also has a matching stair case railing. Could you tell me the name of that color used for the door! It’s perfect for my cabinetry in bathrooms! Hi! I love the door color in the picture for the Pure White. It also has a matching stair case railing. Could you tell me the name of that color used for the door! It’s perfect for my cabinetry in bathrooms! Thanks! Found your blog on Pinterest and am loving it. I want to paint the bottom third of my dining room (lots of light) in Hale Navy. Have trim third of the way up and then the remainder a color that matches the Hale Navy. What do you recommend I use on the trim/ceiling and on the wall to match the Hale Navy? Thank you! We live in a small townhouse in Florida. I’ve decided to have SW Sea Salt throughout my entire first floor (except small powder room) and up the stairs and small hallway. I have 2 bedrooms on 2nd floor and a master bath. I want a nice flow with color and was wondering what paint recommendations you would have for the bedrooms (not a fan of gray), maybe in the bluish family. Thanks Jeanne for your note! 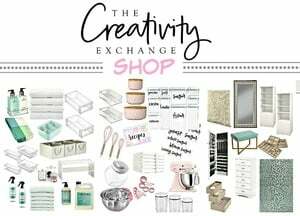 You are luck because I dedicated a whole post to interior door colors here:https://www.thecreativityexchange.com/2017/08/choosing-interior-door-styles-and-paint-colors-trends.html A wanted to show a large variety of shades and colors, so I hope this will help! I also included the paint color names. 😉 Keep me posted on your decision. Love all of your paint recommendations! Pictures are fabulous!! I am in the process of painting the exterior of my house. 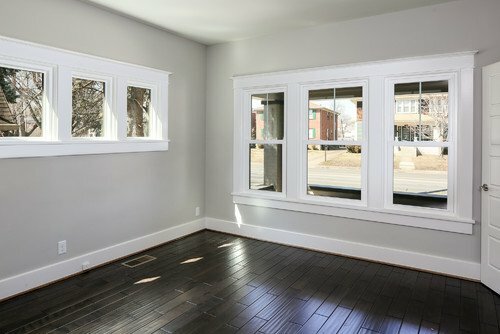 Looking for a perfect light gray color. I have white trim and black shutters. Any suggestions would be appreciated. Also looking for great door color as well! Do you have a SW color comparable to BM Decorators white? Our painter uses SW and I chose Snowbound in satin duration for the kitchen cabs in the house we just bought. They are currently a very yellow-y white and not a ton of nat light but some! I am trying to get rid of the Yellowish tone everywhere. But need it a little warm bc the floors are travertine. Keeping those for now. We also chose Wordly Gray for walls as it’s closest to BM Revere Pewter we love. Thanks for the help! Absolutely love this post, thank you for all those great information. I finally understand why I hated the “neutral” color on my walls. It was a super cool colors when nothing else in the room was cool and it just created this “clashing” feeling. I would love to switch colors, but I don’t have access to Sherwin Williams paint. 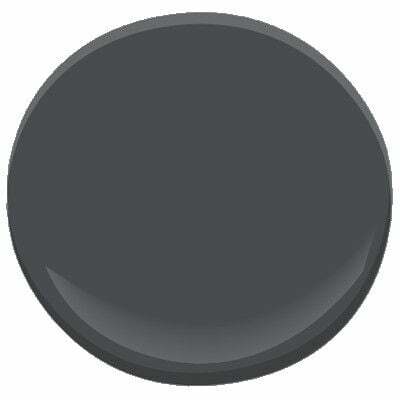 Would you have a suggestion for Benjamin Moore colors that are the same as Repose Grey and Tricorn Black? I would like the repose grey on the walls, and the Tricorn black on the doors and window frames. My trim is already Ben Moore Oxford white. Hi, I’m building a new home and would love your advice. I have already selected pure white for my kitchen cabinets. With all the undertone issues, what color would you use for white on the interior walls? I would really appreciate your advice. Thank you.